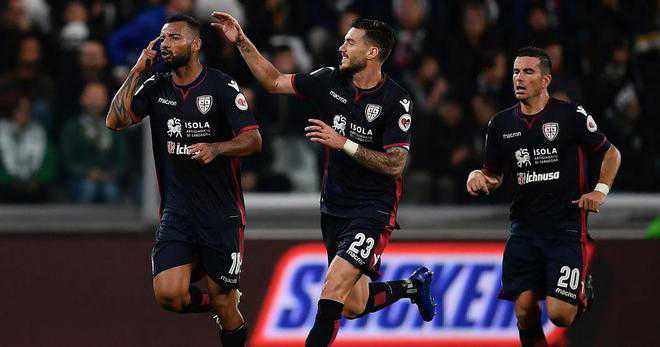 Players from Italian club Cagliari missed their flight to Milan for Sunday’s top-flight game after being locked inside their training ground by local farmers protesting over milk prices, according to reports in Italy. The Sardinian team had been due to fly out to Milan on Saturday evening before Sunday’s game against AC Milan at the San Siro. But the players were unable to leave their Asseminello training ground in the south of the Mediterranean island after all the exits were blocked by a group of 100 local farmers. Coach Rolando Maran and the club’s director general Mario Passetti negotiated with the protestors to allow the team bus to leave for the airport. But only after Sardinian-born player Nicolo Barella and Brazilian teammate Joao Pedro joined in the protest and were filmed kicking over milk pails in a gesture of solidarity. “We simply want to defend our rights,” a protestor said.